Bullough’s Pond is a perfect location for birdwatching, or “birding” as it’s also called. Many species of song birds and waterfowl visit the pond. Great Blue Herons, Mallards, Wood Ducks, Buffleheads and Comorants have all been spotted on the pond. In the trees surrounding the water are Red-Winged Blackbirds, Grackles and Belted Kingfishers. 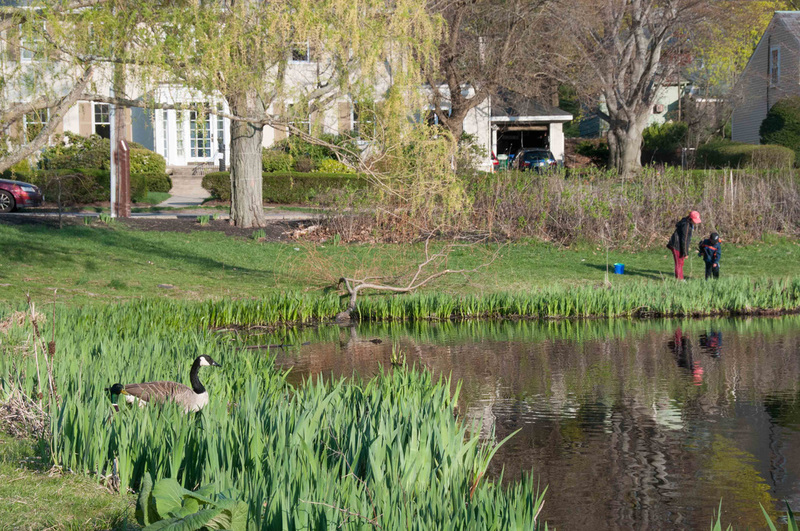 The Bullough’s Pond Association has plans to raise funds to enhance the pond’s role as a venue for birdwatching. Birding enthusiast Dan Levenson, (left), has documented more than 70 species of birds around Bullough’s Pond. The Bullough’s Pond Association is proud that Dan has offered to lead birding walks around the pond. Please contact us if you are interested in going on a guided birding walk. 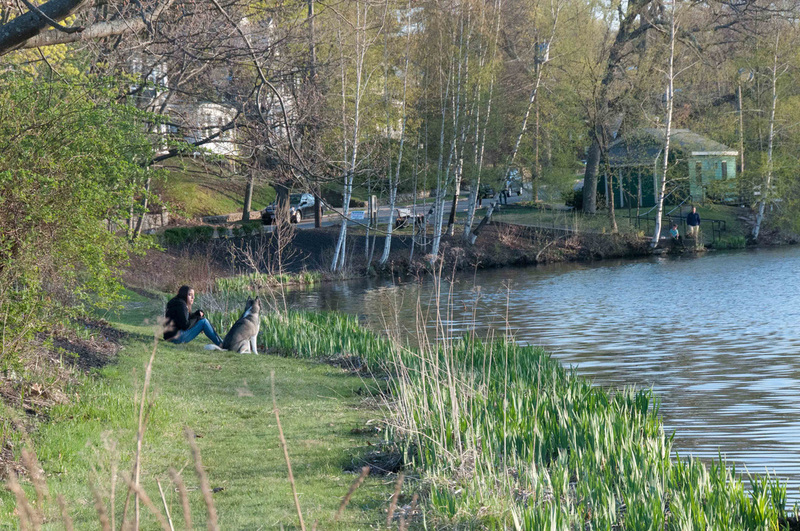 Bullough’s Pond is also a wonderful setting for enjoying a peaceful moment with nature. It’s a place to relax, to reflect on all that is beautiful around us, and to forget the stressfulness of our everyday lives. Bullough’s Pond is a haven. The pond is also a great place to introduce children to nature, and many children in Newton have had a close encounter with a duck or a goose on the banks of this lovely pond. Please consider getting involved to help the Bullough’s Pond Association protect and preserve this precious resource.